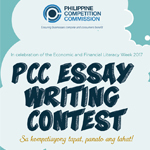 The Philippine Competition Commission (PCC) invites currently enrolled college students to participate and submit entries to the PCC Essay Writing Contest with the theme “Sa kompetisyong tapat, panalo ang lahat”. The competition, which will be held in celebration of the Economic and Financial Literacy Week 2017, aims to raise awareness and literacy among the youth on the economic benefits of market competition. Deadline for entries is extended to November 17, 2017. This invitation is provided as a public service for information purposes only. 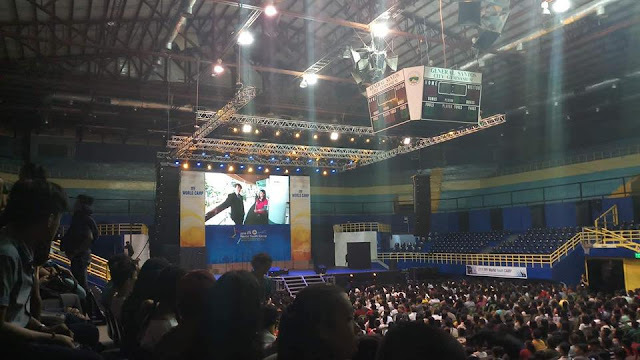 The National Youth Commission is and will not be responsible for the screening of entries and selection of winners. All queries and concerns must be addressed directly to the Organizers.